Power market fundamentals are changing. Your generation fleet should be two steps ahead. Whether you own solar, wind, hydro, gas, or nuclear, you want to take proactive steps to ensure your generators are prepared to operate in the coming transformation. Renewable energy generation is leading us towards a cleaner, more sustainable future but the variability and zero-marginal cost energy is shifting the way all generation assets operate. Energy storage is needed to achieve the full potential of renewable energy and to ensure all market participants are able to benefit from this incredible transformation. Energy storage adds much needed capacity, which ensures there will always be power available to meet peak requirements. It also manages short-term variability in the system, by providing synthetic inertia in milliseconds and incredible flexibility that is nearly 3 times as valuable per MW as that provided by the fastest gas turbines. Since energy storage has no minimum load, zero direct emissions, and can be located nearly anywhere, it has the ability to improve generator efficiency and economics. Finally, energy storage can be added to solar and wind generation to deliver cost-effective renewable energy on-demand, a highly sought after goal. The cheapest and most reliable way to manage short-term variability. 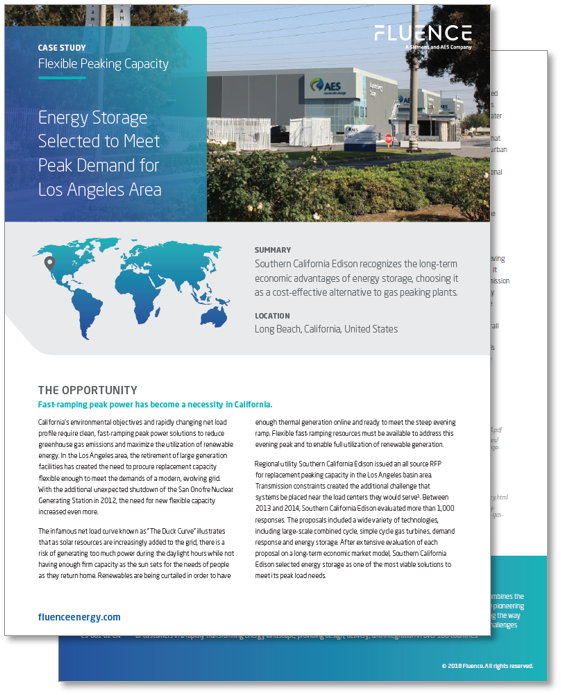 Energy storage is the most cost-effective way to provide fast response to manage the second-to-second fluctuations between supply and demand that are critical to maintaining a stable frequency and keeping the grid running. Energy storage is bidirectional—it can both deliver and absorb power from the system, and at speeds more than 100x faster than thermal generators. As a result, you get better grid stability from fewer MW of storage compared to traditional generators. This means lower operating costs and increased network reliability. Sell more megawatt-hours instead of keeping them in reserve. Energy storage is better than generators at following quick changes in demand. By shifting the task of load following to energy storage, generators can sell the energy that was previously set aside as contingent capacity. Energy storage also frees operators to run generators at their optimal set point which reduces system-wide costs and emissions. Get the capacity of a peaking power plant with none of the downsides. Energy storage is the ideal peaker. It can deliver firm capacity for up to 10 hours and be sited anywhere across the network with no water or fuel requirements, and no noise or emissions. 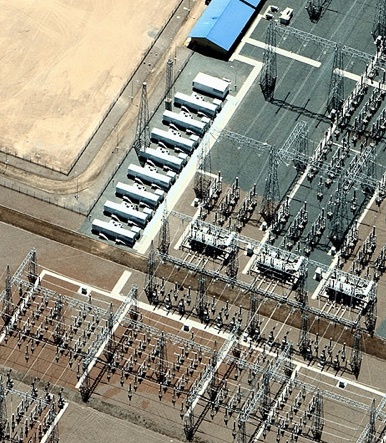 Peaker plants are one of the least utilized assets on the grid, on less than 10% of the time. 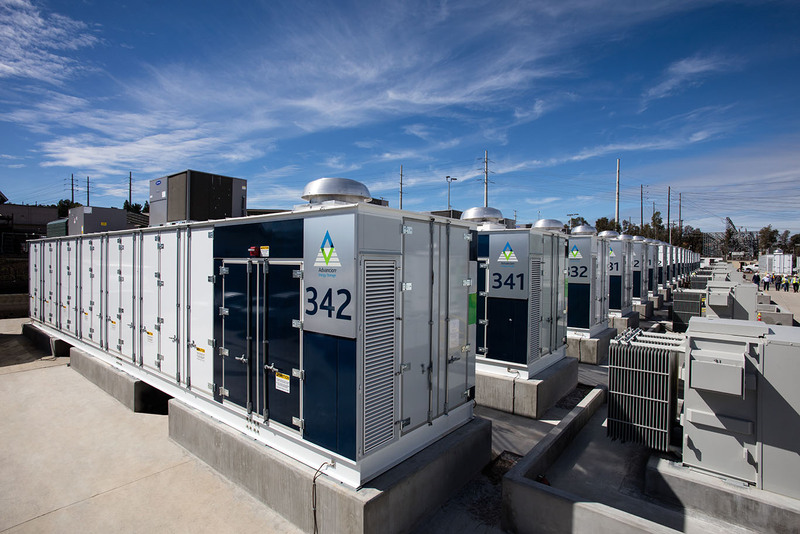 In contrast, energy storage is always connected and able to deliver instantaneous peaking capacity, plus a range of other grid services 24 hours a day. If the network goes down, energy storage can stand at the ready to start critical generators so you can get back to running your business. Energy storage is a fast and highly efficient black start technology that can also be responsible for grid forming through voltage and frequency regulation and accurately match variations in load. Always synchronized. Add new capabilities to your generator. Energy storage is always synchronized to the grid with no real standby costs and can provide the same output as spinning reserves to meet any unexpected imbalance in the network. 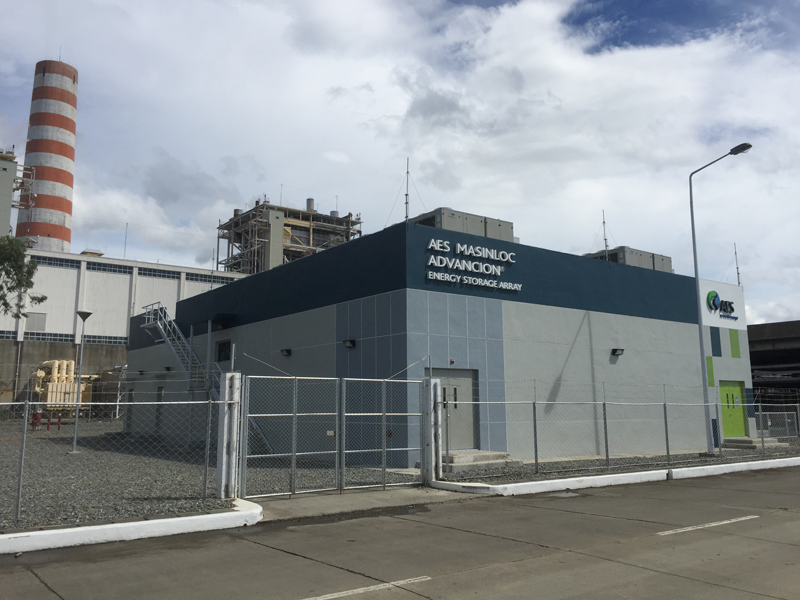 When paired with fast-start thermal generation, storage can allow the thermal generators to sell additional spinning reserve capability that was typically held off line. 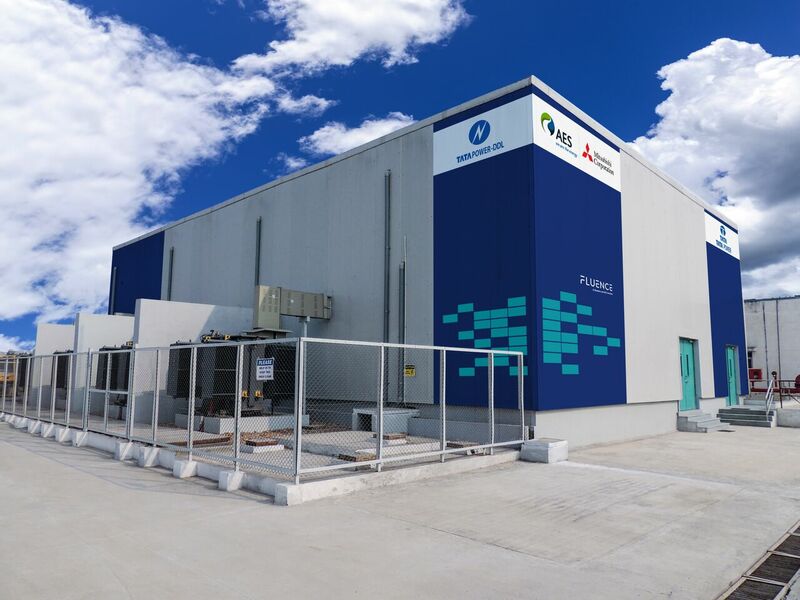 This new capability is enabled by the instantaneous response of energy storage, which gives the thermal units enough time to turn on and ramp up to meet the requirements of the spinning reserve service. Boost your generation and earn more revenue. While energy storage can store and re-dispatch electricity, it never creates it. By pairing energy storage and generation, customers can take advantage of the best that both have to offer. 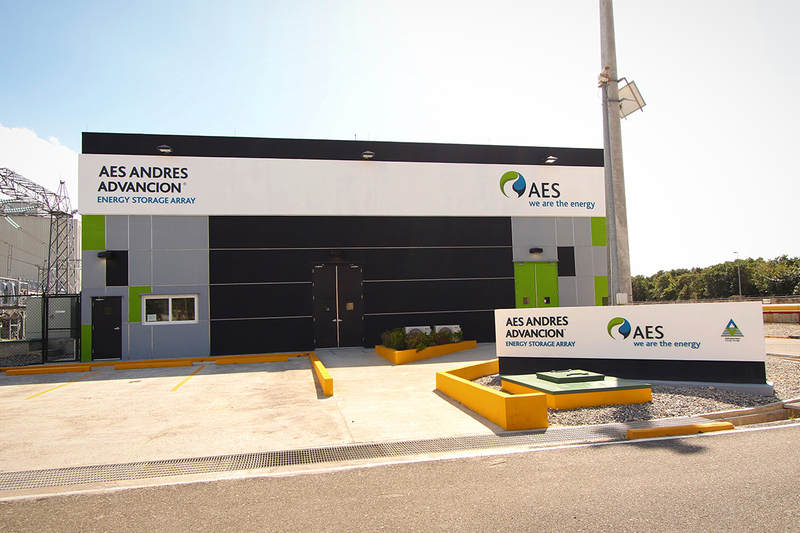 Energy storage provides the flexible capacity and the generator provides the energy. Combined, the generator can earn more revenue as it no longer saddled with minimum load requirements or ramp rate requirements, often limiting the type of services it can provide. Manage renewable variability without holding generators in reserve. Energy storage is the only shock absorber your network needs. Energy storage is the most responsive and flexible asset available that can neutralize the volatility caused by renewables in your network. Energy storage has no minimal setpoint and is bidirectional—it can both deliver and absorb power from the network, acting as a buffer to the intermittency of renewables and eliminating the need for wasteful curtailment. 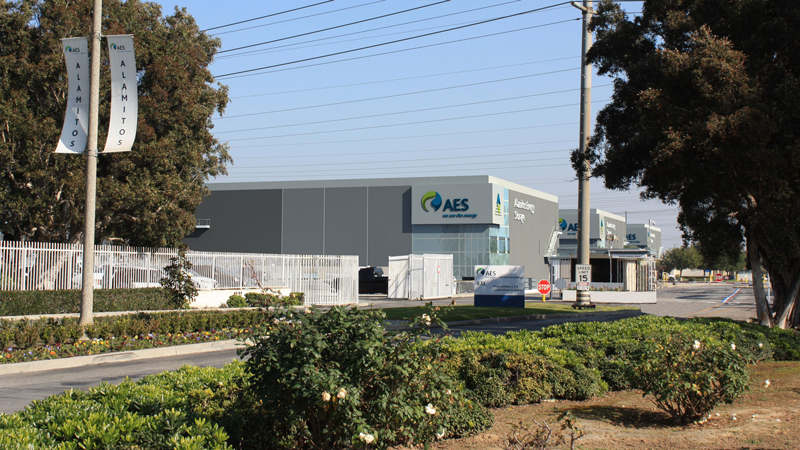 Storage can be sited anywhere in the network to address renewables everywhere in the network. Unlock the full potential of your renewables. Co-locating renewables with storage lets you capture all the solar and wind power you generate and dispatch it when it’s needed. You are no longer forced to use it or lose it. Energy storage also empowers your renewable generation to do more–control ramp rates, smooth power output, deliver firm capacity, and absorb power during periods of excess generation. These extra capabilities will give your project an advantage over other renewable-only projects trying to connect in the same area. Seamlessly connect and disconnect from the network. Energy storage enables you to island from the network as needed by instantaneously switching between grid power and your own reserves. Energy storage can store your local generation for dispatch when it’s needed. Energy storage, when paired with local thermal or renewable generation, can smooth out variability, improve operation efficiency, and store excess power for use at a later time resulting in a more cost effective and resilient microgrid. Free yourself from the burden of having to run inefficient generation. In some areas of the world, diesel and fuel-oil generation seem like the only options available to meet energy needs. But these plants have significant drawbacks–the fuel is difficult to transport, they are expensive to run, and they create significant emissions and noise pollution. Using storage or storage + renewables changes that equation. Energy storage reduces reliance on diesel and other liquid fuels by enabling renewables to be used for more hours of the day. Storage also enables diesel engines to run more efficiently and less often, therefore reducing overall reliance on diesel and other fuel oils and lowering the associated costs. Get all the insights, services, and technology solutions you need with Fluence. 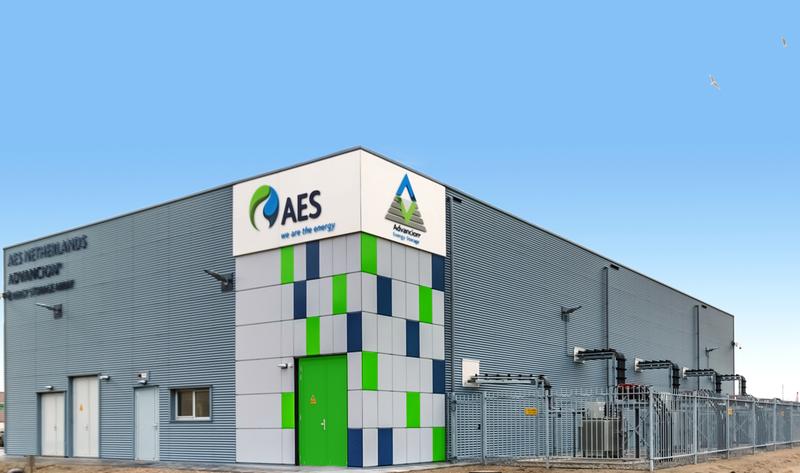 We offer proven energy storage systems designed for the full spectrum of applications in the market, with delivery and integration in 160 countries. Our comprehensive service offerings address the complete customer journey, including advisory, financing, and project lifecycle services. Tata Power-DDL, AES, Mitsubishi Corp.